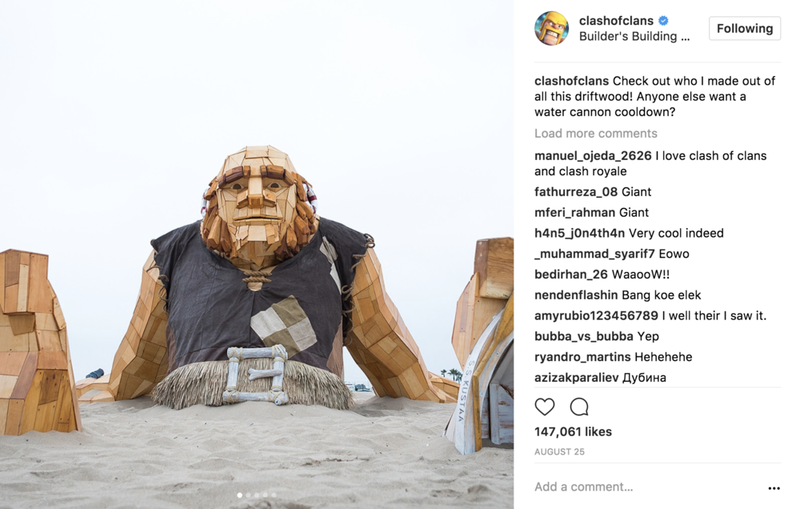 In three cities over three weeks the oversized creations of the character of The Builder in Clash of Clans appeared in real life. Custom structural sculptures were designed and build over scale in a short time. Each location required permitting, location scouting and an interactive structural element for the public. In new York a giant phone charging Tesla tower was erected, in London huge wind blowers with moving bellows blew cold air, and in Los Angeles water turrets allowed you to shoot your friends from 30 feet away. Thousands interacted with the sculptures and fans came from several countries to take pictures. Impressions and coverage were high as well as fan love.